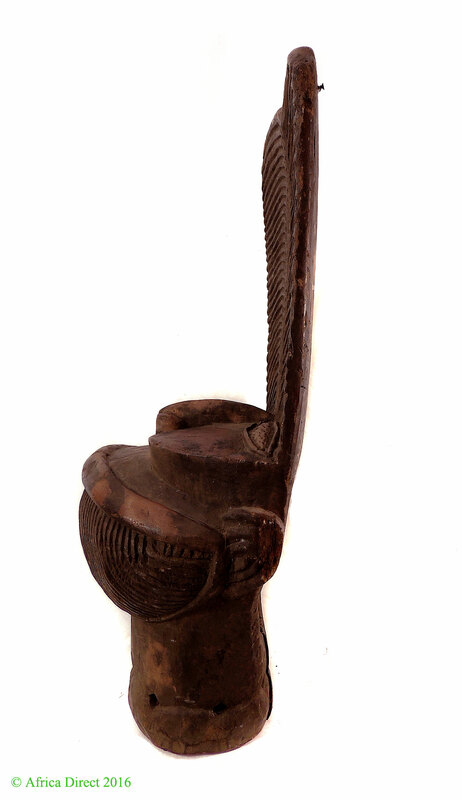 Additional Information: This dominant, regal seat is a design said to come from the region of Batcham in Cameroon. 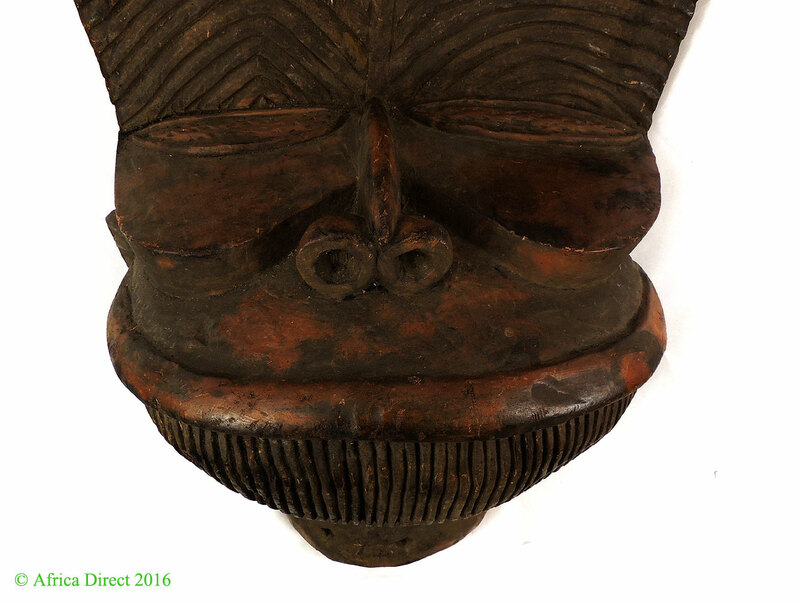 The features are notably Bamileke: flared nostrils and a broad toothy smile in the face. 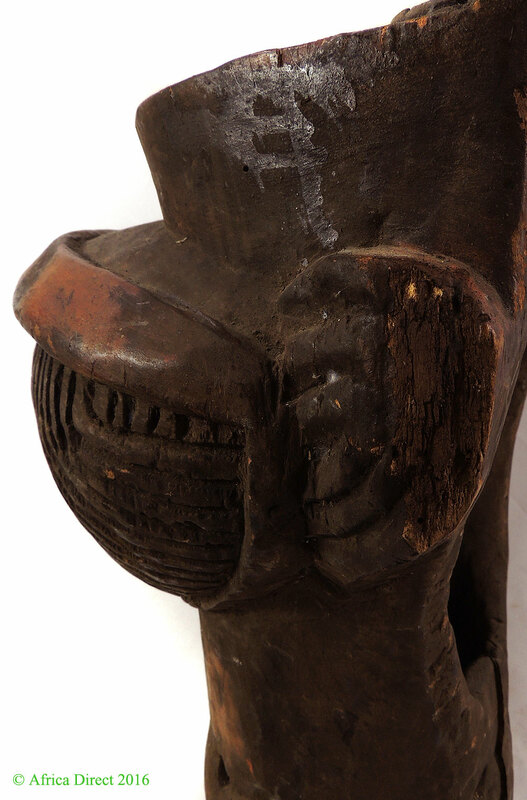 Symbols are carved into the seat of the chair, and the features of the face are remarkably detailed. 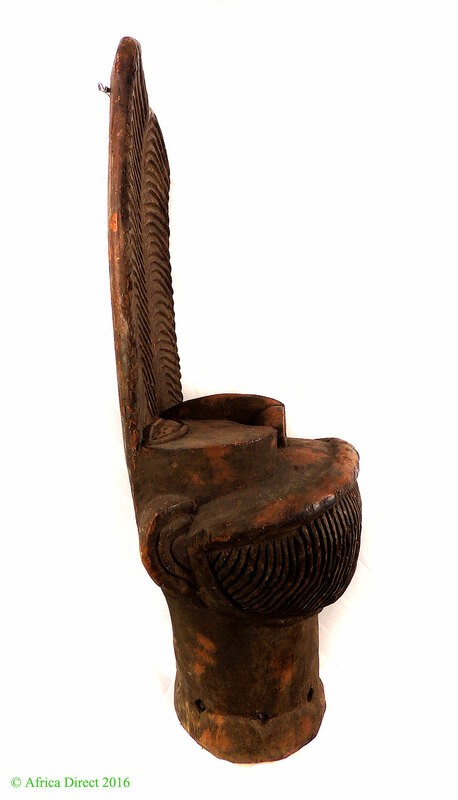 This remarkable carving would be a proud addition to any collection of ethnic art. Cameroon is a large country with mountainous terrain, broad savannas and grasslands where a number of centralized kingdoms or chiefdoms have developed each with distinctive individual art traditions while sharing common religious beliefs, political structures and social institutions. 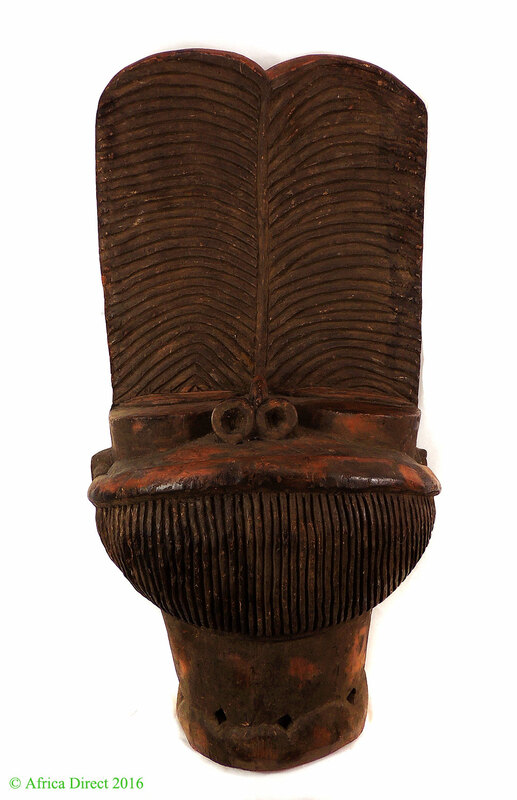 Grasslands art serves to indicate social status and rank with the most prestigious imagery and material reserved for the king (Fon) and other nobility diminishing in importance as one moves downwards in rank at court. Certain artists and artisans working close by the palace serve the king working in materials and symbols reserved exclusively for him. 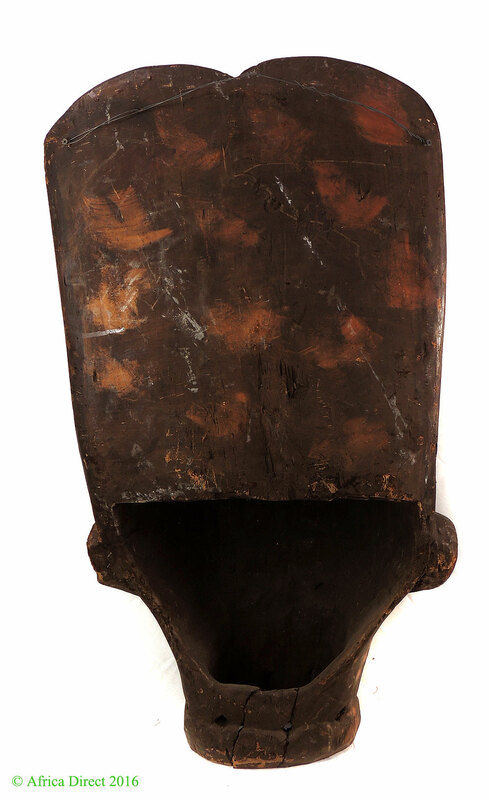 Ranging from royal regalia of high prestige to objects of everyday usage most were embellished with either simple designs or complex imagery including human and animal images symbolically identified with kingship.